 At Contemporary Chrysler Dodge Jeep serving Nashua, Manchester, and Bedford, we know how important budgeting is. Pre-planning your payments from home has never been easier with our online payment calculator. In just a few clicks, you’ll have a better idea of what you’ll pay when you purchase your vehicle. Our online payment calculator is not just convenient, it’s also incredibly easy to use. Simply input the vehicle price, the interest rate, and the loan term. Then, type in your estimated down payment. You can also add your estimated trade-in value. When you calculate your payment, you’ll be given an estimated finance amount, and monthly payment. With all the information you need right there, you can buy with confidence. After you’ve calculated your payment, we encourage you to visit our finance center. Our knowledgeable experts are there to help you create a finance plan that works for you and your family. If you have any questions about your estimated monthly payment or want to get in touch with our finance center, don’t hesitate to contact us at our Nashua area Chrysler Dodge Jeep RAM dealership today. We’ll be more than happy to help!